The Tata Tiago has outsold the Maruti Celerio hatchback in January 2018. This is a solid start for the Tiago – over 2 years old in the Indian market – even as Maruti has just facelifted the Celerio, and has also launched the Celerio X model. 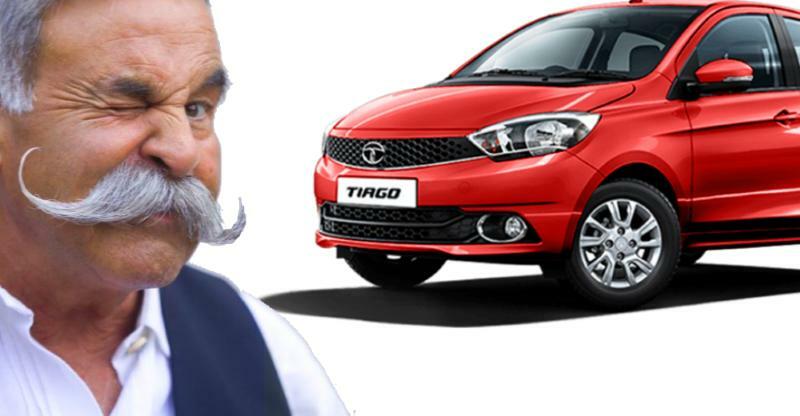 Tata dispatched 8,287 units of the Tiago while Maruti put out 7,641 units of the Celerio in the same month. The Tiago’s year-on-year sales have grown by a whopping 53 % but those of the Celerio have fallen by a full 30 %. The main reason why buyers are opting for the Tiago instead of the Celerio could have to do with the fact that the Tiago is priced much lower. The Tata hatchback starts from Rs. 3.26 lakhs while the Celerio is almost 1 lakh pricier, with prices starting from Rs. 4.2 lakhs. The Tiago is also larger than the Celerio in terms of dimensions, and also offers more space for passengers. In fact, the Tiago is one size larger than the Celerio, which means that buyers are seeing the car’s massive value proposition. The other thing is equipment. The Tiago has a 1.2 liter petrol engine with 84 Bhp and 114 Nm, which makes it a lot more powerful than the Celerio, which is powered by a 1 liter K-Series engine with 67 Bhp-90 Nm. Both the Celerio and Tiago gets 5 speed manual and AMT options. The Celerio also offers a CNG-petrol option while the Tiago offers a diesel option. The diesel engine of the Tiago is a 3 cylinder unit, displacing 1.05 liters and with 70 Bhp-140 Nm on tap. A 5 speed manual gearbox is standard on the diesel variant. Both the Celerio and Tiago offer twin airbags and ABS+EBD on the top-end variants. The Maruti hatchback is now available with a more muscularly styled variant called the Celerio X. In terms of features, the Tiago is more equipped than the Celerio. It has an 8 speaker stereo that also offers a nifty infotainment feature such as turn by turn navigation. The car also gets multi-drive modes, allowing the driver to choose between City, Economy and Sport modes.